Another place definitely worth to see is the famous Salt Mine in Wieliczka. It’s quite small city located in the surroundings of Krakow. 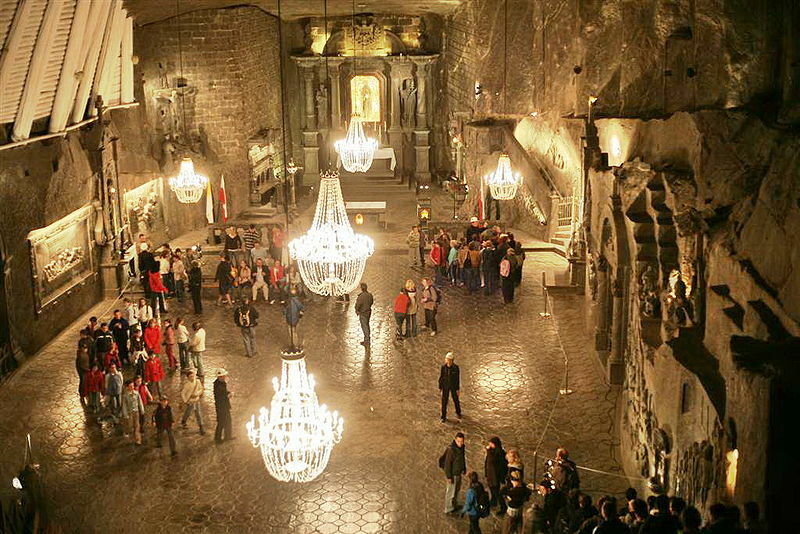 Wieliczka Salt Mine tour enjoys wide popularity among the tourists from around the world. Every year there are more than million visitors in the mine and more than a half of them are foreigners. No wonder why so many people want to see the place. Going in Wieliczka Salt Mine tour is an unforgettable experience and an absolute ‘must see’ if you visit Poland. The touristic route of Wieliczka Salt Mine tour is 3 km long and takes around 4 hours. It includes 20 chambers – each of them different and characteristic. Among the chambers there are also impressive chapels and treasury. However, the most impressive one is the main chamber with famous chandellier. It is interesting that they made it from salt as well. It is even possible to reserve that chamber for personal events, for example wedding or concert. Additionaly, you can visit Zupy Krakowskie Museum, located on a third level. It contains another 14 chambers, where you can see story of the mine and tools, that were being used for mining and transporting the salt. There is also an exhibition concerning story of the city of Wieliczka. During the Wieliczka Salt Mine tour you will have to go through 800 steps, so take comfortable shoes with you. However, the rout is also adjusted for invalid people. Beside that, there is also the first underground reserve, called Groty Krysztalowe (lily-white grots). It features unique halite crystal in a quite big amount. All the places, that you will see on Wieliczka Salt Mine tour are extremely interesting and people in every age will have a great trip there. 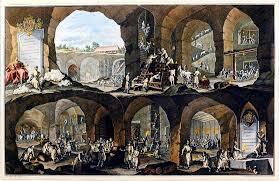 It is definitely the boast of Polish tourism and history of mining. You can easily get there from Krakow, as it takes only 20 minutes by bus. We recommend to go with KrakowDirect company, as it provides all of the attractions mentioned above in a good price. It is much better to go with the guide, who will explain and describe you many useful facts about the Wieliczka Salt Mine. Don’t hesitate and book a tour today!